Regardless of your budget and taste for adventure, you will find a diverse selection of things to do around the Nashville area even if you just have a day. There is a huge network of spectacular caves, deep gorges, magnificent waterfalls, historical sites, as well as parks which offer horseback riding, ziplining and rock climbing. Deep under the layers and layers of limestone in central Kentucky is an enormous cave, in fact the largest cave system in the world – Mammoth Cave. 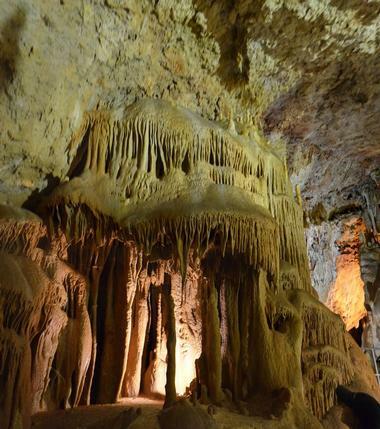 Mammoth Cave National Park was established in 1941 to protect this strange and magical place. It is a great place to spend a couple of hours if you are an explorer at heart and are not afraid of dark, enclosed spaces. Only about 405 miles of the cave passages and chambers are explored. The rest is still a mystery and is being discovered bit by bit every year. Taking a bike ride or hike through the 570 acres of brilliant green Stones River National Battlefield park is a great way to get some fresh air while learning about one of the pivotal moments in United States history. Not even 30 miles from Nashville, along the Stone River, is the site of one of the key battles in the American Civil War, the battle that the Union won but which was known as one of the bloodiest conflicts during that war. 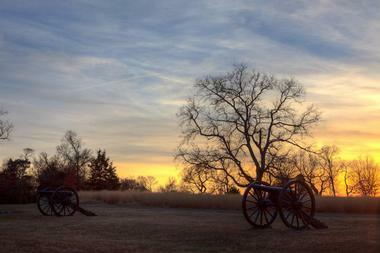 The park preserves only a fraction of the land over which the battle was fought. 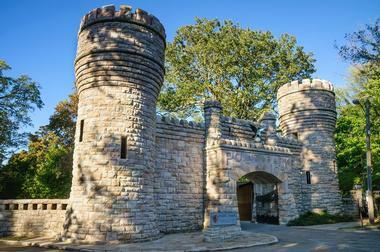 Within the park you can see part of Fortress Rosecrans, the largest enclosed earth fort from the Civil War. The Stones River National Cemetery is also part of the park, with 6,850 interments of which 2,562 have been identified. Just outside the cemetery is the Hazen's Brigade Monument, erected in 1863, the oldest American Civil War monument still standing in its original site. Park rangers and trained volunteers offer a series of interesting of talks, walks, tours and history reenactments throughout the year. Cumberland Caverns is a show cave located in McMinnville, Tennessee, discovered in 1810 by the land surveyor Aaron Higgenbotham. Higgenbotham’s Cave quickly became a favorite spot for local adventurers in the 19th century and was open to the public in 1956. Today there are more than 32 miles of caves and passageways, magnificent underground rock formations, underground waterfalls, dark pools and some spectacularly large underground rooms. Tours of the caves include a regular daytime walking tour, spelunking tours for more adventurous types, overnight tours, if you are really looking for a thrill, and educational field trips for students. 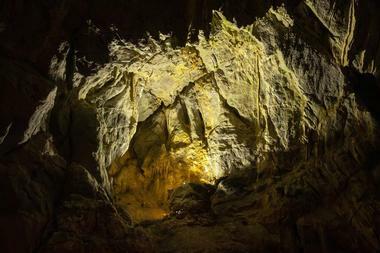 The caves are also popular venue for unusual weddings, birthday and other parties. 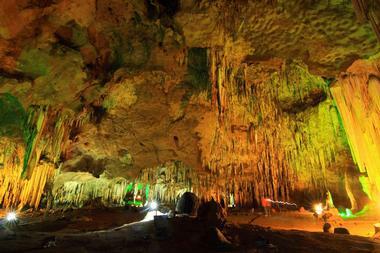 A monthly concert called Bluegrass Underground is also held in the Cumberland Caverns, in the cave's Volcano Room. Land Between the Lakes National Recreational Area is a 170,000-acre playground in Western Kentucky and Tennessee, one of the largest tracts of undeveloped forest on the East Coast. Located on a peninsula between Kentucky and Barkley lakes, the area consists of dense forests, miles of wetlands, and open lands. With 300 miles of unspoiled shoreline, the park provides wonderful settings for picnicking, camping, hiking, boating, fishing, water sports and wildlife observation. There are 240 different species of birds living in the park at least part of the year, including the hummingbirds which migrate in August. There are 500 miles of diverse trails for biking, hiking, horseback riding and off-road riding. The Lincoln family lived on 30 acres of the 228 acre Knob Creek Farm in Hodgenville, Kentucky from the time Abraham was two and a half until 1816 when the family moved to Spencer County, Indiana. Lincoln had fond memories of his life on the Knob Creek farm as the place where he learned to talk, run errands such as gathering wood for fires and carrying water. He remembered a stone house he had passed on his way to Hodgen's Mill; the stream where he fished, and the hills where he picked berries. The original house in which the Lincoln family lived was torn down in 1870 and the cabin that is now part of the park was reconstructed in 1931 on the original site. Some of the furnishings in the cabin are original antiques donated by families of early settlers. Chickamauga and Chattanooga National Military Park, located on the slopes of Lookout Mountain, is shared between northern Georgia and eastern Tennessee, and is established to preserve the original sites of two major American Civil War battles: The Battle of Chickamauga and the Chattanooga Campaign. These two battlefields offer exceptional opportunity for studying the two great armies as they encountered many military obstacles such as forests, steep mountain slopes, open fields, and fast streams. Strategically placed observation towers located on the Chickamauga Battlefield, Lookout Mountain and Missionary Ridge, offer observers and students the opportunity to imagine the scale of the grand campaign that extended 150 miles in front of them. The U.S. Space & Rocket Center in Huntsville is a museum celebrating the United States space program, showcasing rockets, artifacts and achievements. One of the largest space museums in the world, it opened its doors in 1970. 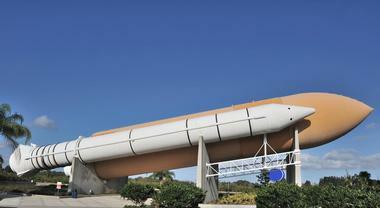 The visitors can see original Apollo Program hardware, enjoy interactive science exhibits, go into the Space Shuttle, observe various Army rocketry and aircraft. Unless you are a big country music fan, you will probably discover fascinating Loretta Lynn's Ranch by accident while traveling through Tennessee. 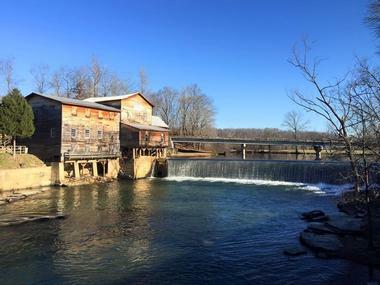 The 18,000 square foot Museum in Hurricane Mills, Tennessee was a ranch and home of the legendary country music icon. She created a museum by collecting a huge number of memorabilia, personal items and awards from her illustrious career, as well as personal objects from her many entertainer friends. The museum offers self-guided tours, and you can also visit other nearby structures such as Frontier Homestead, the Native American Artifact Museum, Grist Mill Museum and Loretta’s Fan & Doll Museum. The ranch offers diverse accommodations, from an RV park to tents and rustic cabins. There is a large pool for the guests, fishing, paddle boats and canoeing , and if you are lucky, nightly entertainment in the ranch theatre. Located at the confluence of the Caney Fork, Collins and Rocky Rivers, on the headwaters of Center Hill Lake, Rock Island State Park is a ruggedly beautiful 883-acre park popular for hiking, exploring, swimming, fishing and kayaking. 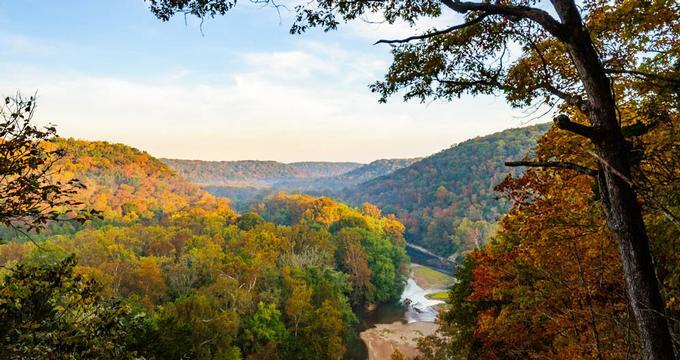 One of the most fascinating features of the park is the Caney Fork Gorge, just below Great Falls Dam, which offers some of the most scenic views of the Eastern Highland Rim. Hiking trails lead past by Great Falls, a 30-foot cascading waterfall that drops below the historic 19th century textile mill. 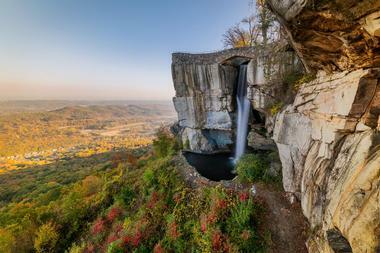 The Caney Fork River Gorge is famous for its spectacular overlooks, deep pools, waterfalls and narrow limestone paths. The whitewater sections of the gorge are popular among professional kayakers from all over the world. The Center Hill Lake also has a natural sandy beach and boating access. Tennessee State Park cabins are popular accommodation for luxurious camping. There are also two campgrounds. Located just next to the famous Mammoth Caves in the Mammoth Caves National Park, a World Heritage Site and International Biosphere Reserve, Diamond Caverns were discovered in 1859 and quickly became part of the tourist attractions of the area. 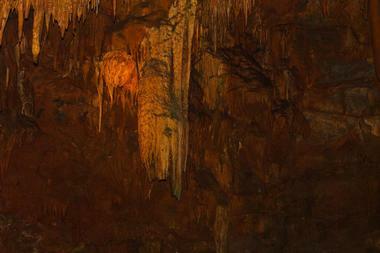 Intricate, shiny calcite deposits gave the cave its name as they shone like jewels. Well-lit today by state-of-the-art lighting, Diamond Caverns are famous for their intricate stone drapery lining the cave halls in cascades of colorful calcite. Spectacular formations cover the cathedral-grottos. Guided one-hour-long tours are offered about every half hour. 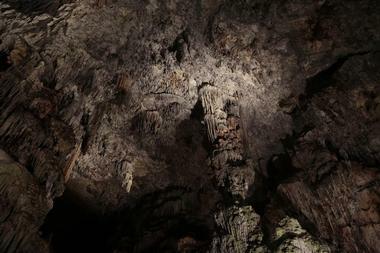 The cave has a constant comfortable temperature of 58 degrees year-round, and the tour is considered fairly strenuous because of the 350 steps visitors need to climb. The ceiling is also low at places. Hanging Paradise, Rotunda and the Imagination Room are just some of the most fascinating attractions of the Diamond Cave. 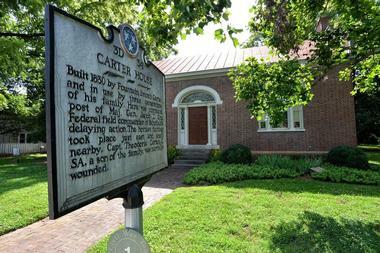 The Carter House is a historic house in Franklin, Tennessee, and a centerpiece of the Franklin Battlefield, a U.S. National Historic Landmark historic district. The Battle of Franklin was the last battle in the American Civil War. In the Carter House, the Carter family hid while waiting for the second Battle of Franklin to finish. Before the battle, the federal style brick farm house built in 1830 was taken over as the headquarters of the Twenty-Third Army Corps and federal breastworks were built just south of the home. One of Carter’s sons was wounded, during the battle and his body was brought to the house, where he later died. The room in which he died was preserved in its original state and is now part of the house tour. The Carter House and its land are open to the public and available for tours. 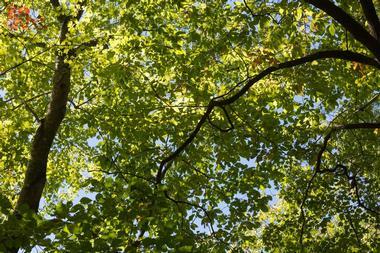 Cedars of Lebanon State Park is a 900-acre park in Wilson County, a part of the Cedars of Lebanon State Forest. 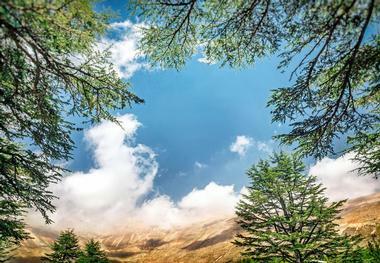 Early American settlers noticed many Eastern Red Cedars growing in the area and were reminded of the famous Biblical cedars from Mount Lebanon in the Mediterranean area, giving the area the name Cedars of Lebanon. Cedars of Lebanon Park was established in 1955. The park is home to the unique natural ecosystems with natural rock gardens called cedar glades, caused by the proximity of limestone rock to the surface of the ground, making the soil layer very thin or absent. 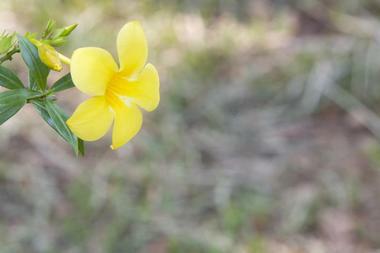 The area has an inhospitable, harsh, desert-like look that is home to nineteen rare and endangered species of plants. There are eight miles of hiking trails meandering through the park. It is possible to see fox, rabbits, deer, squirrel, and turkey. The park is popular for picnicking, hiking and horseback riding. Only about six miles from downtown Chattanooga, you can drive to the Rock City Gardens and enjoy breathtaking views all round you of seven states, the city spread at your feet and an unbelievable variety of plants, many in bloom. Rock City Gardens is a magnificent creation of nature made of massive prehistoric rock formations which provide home to more than 400 native plants. Taking the Enchanted Trail will reveal something beautiful with every step and around every corner, such as Fairyland Caverns, waterfalls, beautiful blooms, Mother Goose Village, and even great food at the Big Rock Grill. Every time you visit, as the seasons change, you will see new and different marvels of nature. Journey back in time and visit The Obed Wild and Scenic River which looks very much like it did in late 1700s, when it was a good fishing and hunting ground for trappers and pioneers. Except during the times of very high flow, the 500-foot-deep walls of the gorge it flows through make the stream barely visible. From the point where it meets Daddy’s Creek, to its mouth, it is designated as a National Wild and Scenic River and is managed by the National Park Service. The river is famous among white water enthusiasts during the high flow, but also attracts rock climbers, hikers and explorers. Park rangers offer guided tours at various times. The Natchez Trace Parkway is a 444-mile drive that forms a continuous green belt or transect from the Tennessee Appalachian foothills to the bluffs of the lower Mississippi. 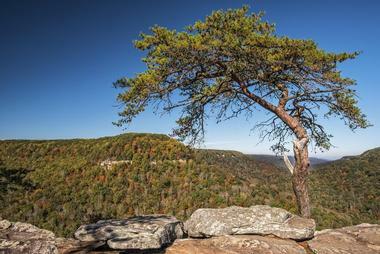 The parkway crosses four different ecosystems, eight watersheds, and twelve eco regions. 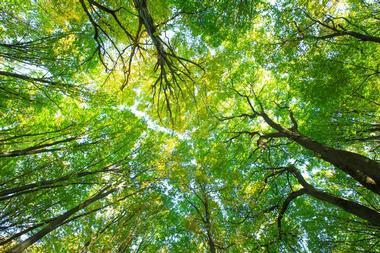 From oak and beech forests in the far south, oak and pine mixes in the middle, to oak and hickory in the north, you drive through vastly diverse habitats such as streams, swamps, lakes, forests of all kinds and so much more. While by no means pristine, this area that was known to early settlers and American Indians is maintained in as natural state as possible. Stop by the Natchez Trace Parkway Visitor Center which offers interpretive displays and an orientation film. The Kentucky Bourbon Trail is a fun thing to do if you are travelling without kids and have the taste and appreciation for fine aged American whiskey. A part of the trail, the Heaven Hill Bourbon Heritage Center, offers a range of distillery tours, and some very special samples. Heaven Hill Distilleries, located in Bardstown, is the largest independent, family-owned producer of Bourbon in America. The distillery was established in 1934 but the original Bardstown distillery burned down in fire in 1996. During the tour, experienced Bourbon hosts take visitors through the Bourbon Heritage Center. On one specific tour, you will visit Rickhouse Y, then return to the Parker Beam Tasting Barrel for an "educational" tasting of three of the distillery’s most acclaimed Whiskeys, from different mashbills. Jesse James Riding Stables in the Cave country is one of the largest and oldest stables in Kentucky. Add Action Park and you’ve got a vacation stop for the whole family regardless of likes and dislikes. 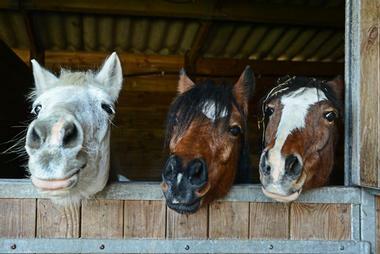 The main activity is, of course, riding. You can ride one of the stable’s sweet, gentle horses along 500 acres of trails, through the area where Jesse James was being chased after robbing a bank or hide in one of many local caves such as the Outlaw Cave. If horses scare you, there is the only alpine slide in Kentucky, no snow required. Just take a chairlift to the top of the mountain, sit on a slide and off you go. Then there are twin ziplines, Go Carts, Bumper Cars, Boats, Trampolines, 18 Hole Mini-Golf, Rockwall, Old Time Photo Shop, Green River Canoe and Outlaw Cave Tours, and so much more. The Jack Daniel Distillery in Lynchburg was established in 1866 by master distiller Jack Daniels. 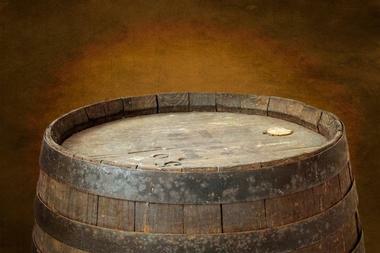 It was the first registered distillery in the United States. The distillery was strategically located next to the mineral waters of Cave Spring Hollow, the crucial source for the quality of whiskey as the limestone from the surrounding cliff removed iron from the water. The distillery grew to be the best selling American whiskey in the world and more than 1.9 million barrels of whiskey are stored in dozens of barrel houses in the hilltops throughout Lynchburg, where they are ageing until they reach the required quality. Interestingly, no whiskey is available in stores in Jack Daniel's home county of Moore, which is a dry county. The distillery is today visited by millions of visitors, and the visitor center, open in 2000, contains a gift shop and memorabilia related to the history of the distillery. Situated on the Tennessee River in the heart of Chattanooga, the Tennessee Aquarium is home to 12,000 animals of almost 800 species. 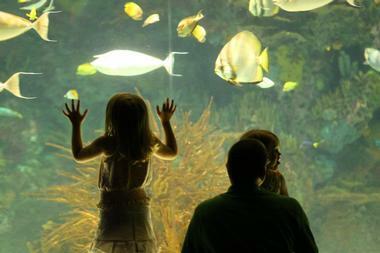 It opened in 1992 in two main buildings – Ocean Journey and River Journey – and is considered to be one of the best aquariums in the world. The River Journey Building includes exhibits such as The Appalachian Cove Forest, Delta Country, which teaches guests about the Mississippi Delta species, Rivers of the World, with several aquariums that feature creatures from the world’s largest rivers, The Tennessee River and River Giants. When the European settlers discovered old Stone Fort, they did not quite know what to make of it, so they called it a fort. The structure was built almost 2,000 years ago, during the Middle Woodland Period, by Native Americans, who used it for more than 500 years before abandoning it. Archeologists believe that the complex enclosure was used for ceremonial purposes and not for defense. The walls of the Old Stone Fort were constructed of stone and earthwork, about four to six feet high. Originally, there were inner and outer walls of stacked rocks and slabs filled with gravel and earth in between. The structure is now part of the Old Stone Fort State Archaeological Park. 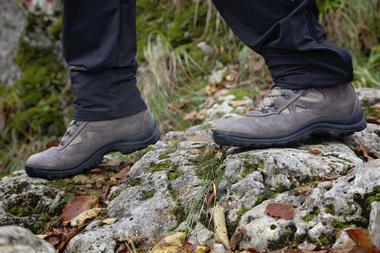 The park has a wonderful hiking trail which follows the Old Stone Fort’s walls. There is a number of interpretive panels along the trail, as well a view of beautiful waterfalls. The park’s museum has an exhibit which offers theories about the structure’s builders, their history and culture. Located about 11 miles from Spencer and 18 miles from Pikeville, Fall Creek Falls State Park is a 26,000 acres park located on the rugged eastern top of the Cumberland Plateau. Tennessee’s largest state park, it includes a number of cascades, waterfalls, gorges, streams and dense stands of primary hardwood timber. 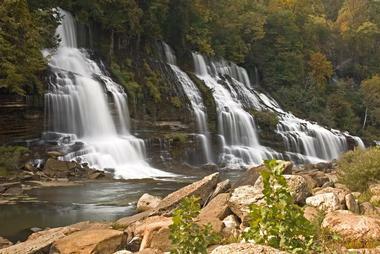 At 256 feet, Fall Creek Falls is one of the highest in the eastern United States. The park offers a range of outdoor activities, starting with lovely walks around the lake to the base of Fall Creek Falls. There are more than 34 miles of trails, some that are great for those who are looking for an overnight adventure and a bit of solitude. The Nature Center at Fall Creek Falls provides environmental education programs, arts and crafts courses, movies, campfires, and live musical programs. The park also has a Fall Creek Falls Golf Course, four playgrounds, horse stables, five picnic pavilions and an Olympic-sized pool. Located a short drive from Woodville, Alabama, Cathedral Caverns was first opened to the public in the 1950s and became a State Park in 2000. Cathedral Caverns massive entrance is 126 feet wide and 25 feet high, opening to some of the most spectacular natural formations in any cave. One of the most spectacular is "Goliath," a 45 foot tall stalagmite with 243 feet in circumference, one of the largest in the world. Some of the other amazing Cathedral Caverns features are a "caveman" perched on a stone wall, an enormous stalagmite forest, a "frozen" waterfall, and a 27 foot tall and 3 inches wide stalagmite. The park covers 493 acres, with lovely hiking trails outdoors. Cave tours are offered all day and in addition to tours, visitors can try their hand in gemstone mining. Cub Run Cave, located in Hart County, Kentucky, was discovered in 1950, by two boys who were searching for Indian artifacts, but was closed after a short period and only reopened to the public in 2006. Exploring Cub Run Cave is easy and pleasant on the half-mile long elevated wooden walkways. The caves are filled with thousands of spectacular formations such as cave bacon, flow stone, cave popcorn, cave corals, rim stone dams, stalactites and stalagmites. There is also a natural pool created by a dip from the ceiling of the cave. Cub Run Cave is one of the few caves in the United States with the rare formation called box work. 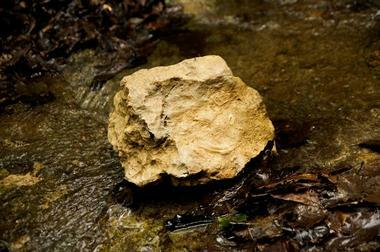 The caves are home to elusive cave crawfish, crickets, salamanders and three kinds of bats. Port Royal State Historic Park is a historic area that stretches over 26 acres on the border between Montgomery and Robertson counties in Tennessee. The area was the site of one of the oldest trading posts in Tennessee, a longhungter camp in 1775 and a permanent settlement as early as 1780. The Red River that runs through it was one of the major navigation routes of Middle Tennessee and South Central Kentucky. 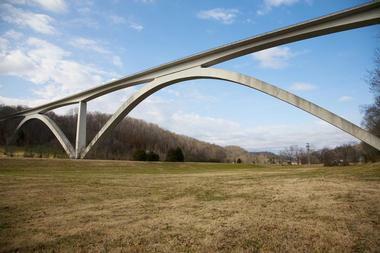 Port Royal was also the last stop before forcefully removed Native Americans left Tennessee. The park was established to preserve the sites of early Tennessee history, its settlements and early transportation trails, and the heritage of the Trail of Tears. The park is a great place to learn about the history of the area and visit some historic sites while enjoying canoeing, fishing, photography, picnicking, and hiking.